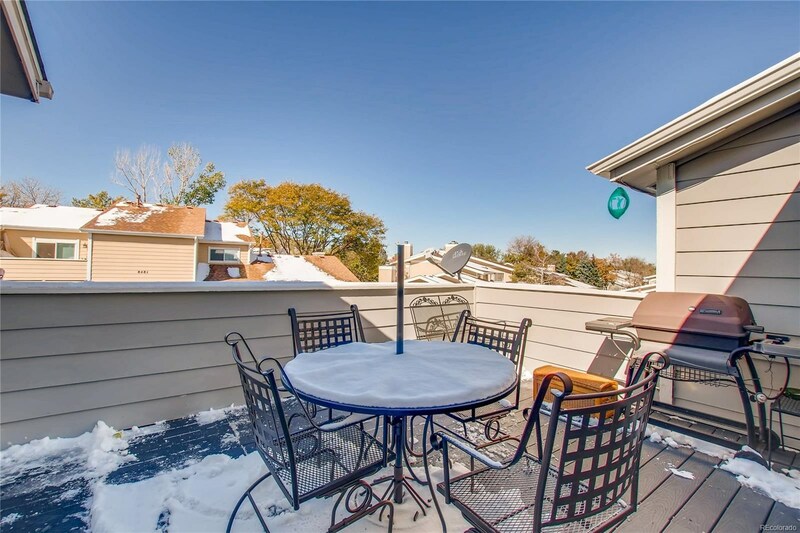 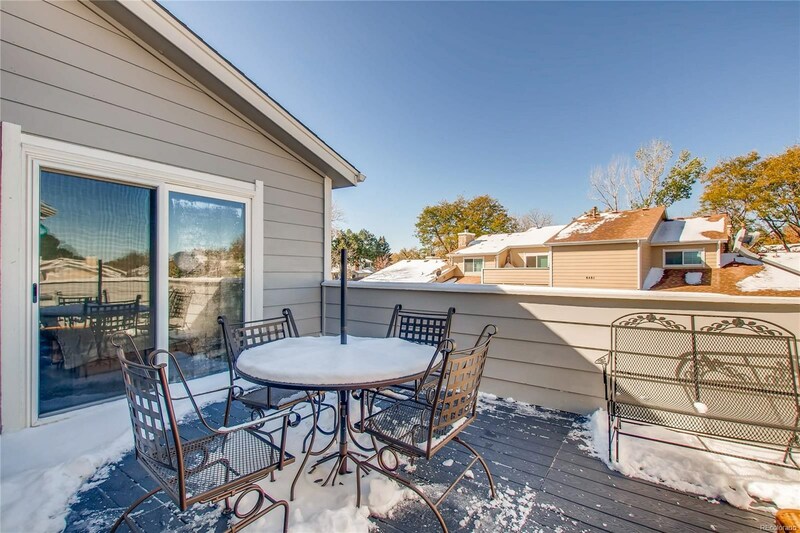 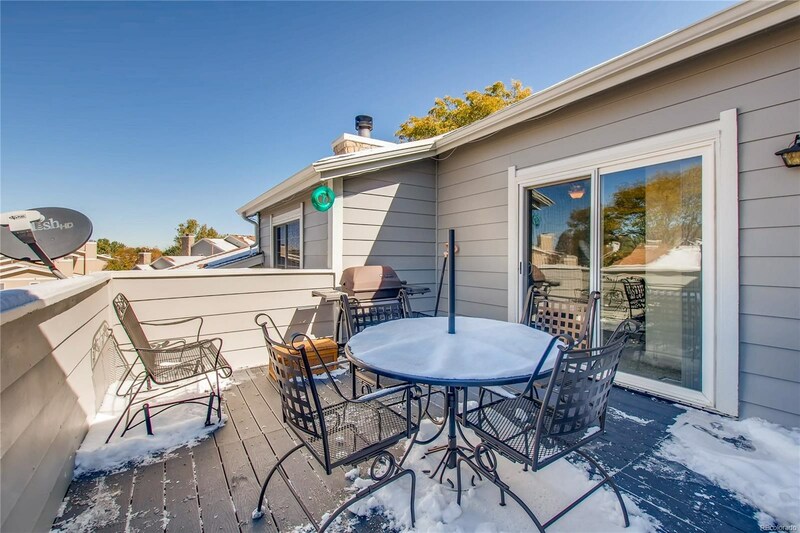 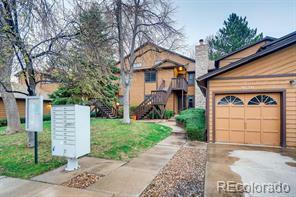 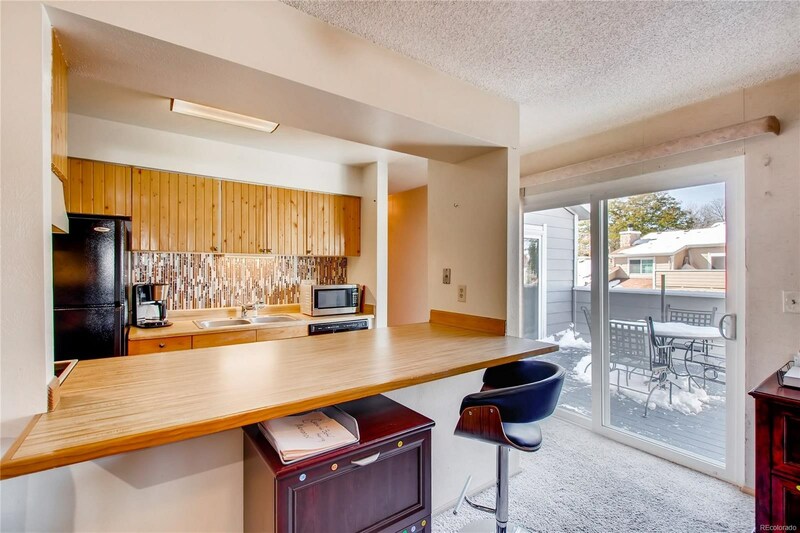 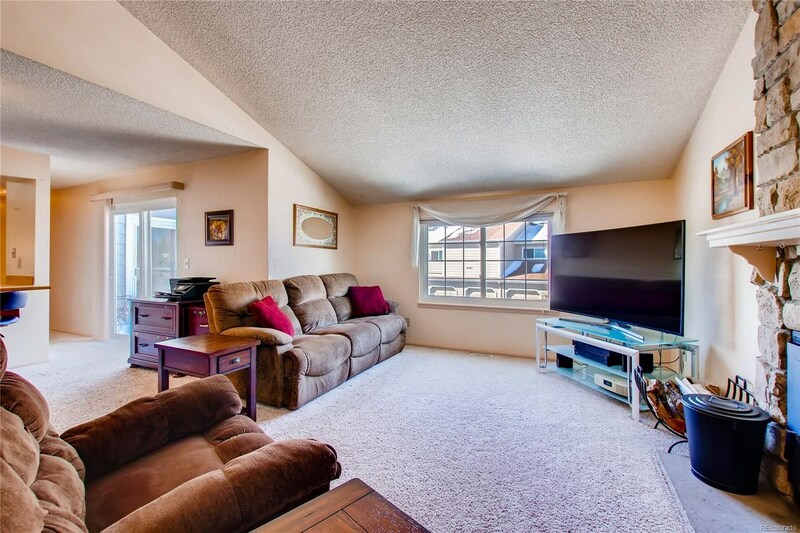 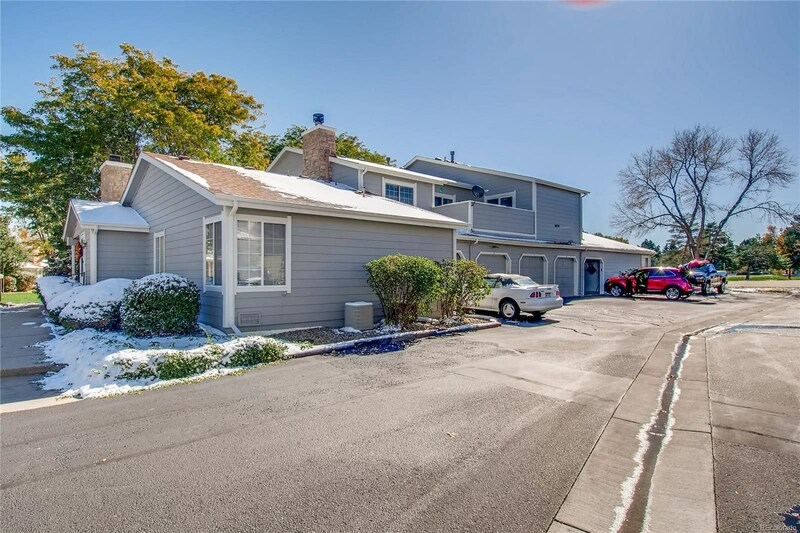 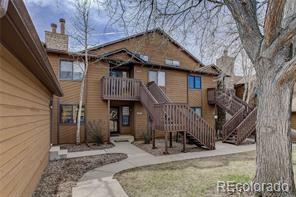 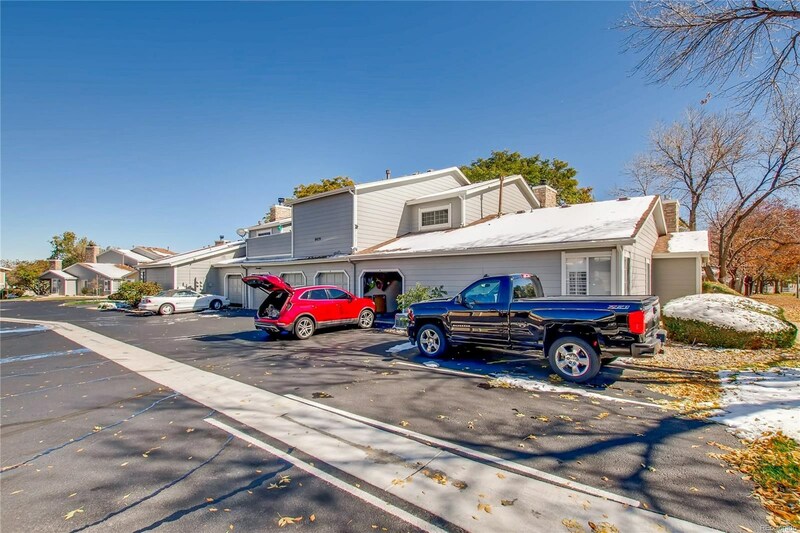 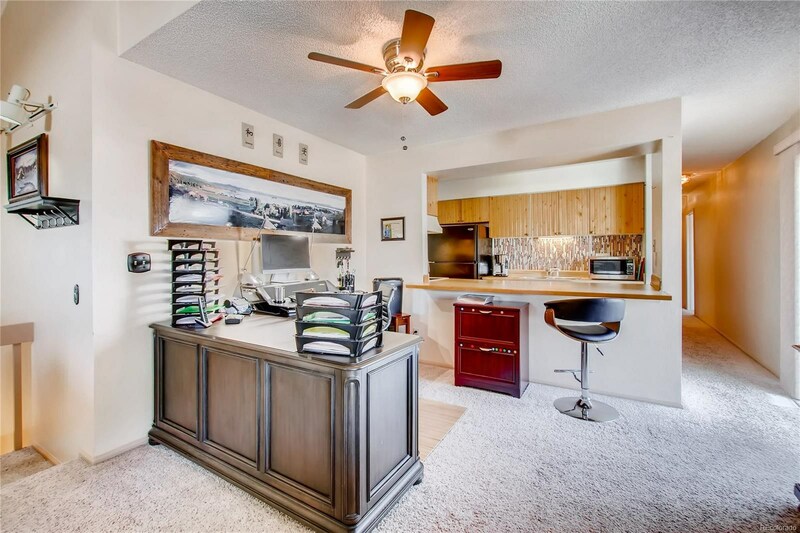 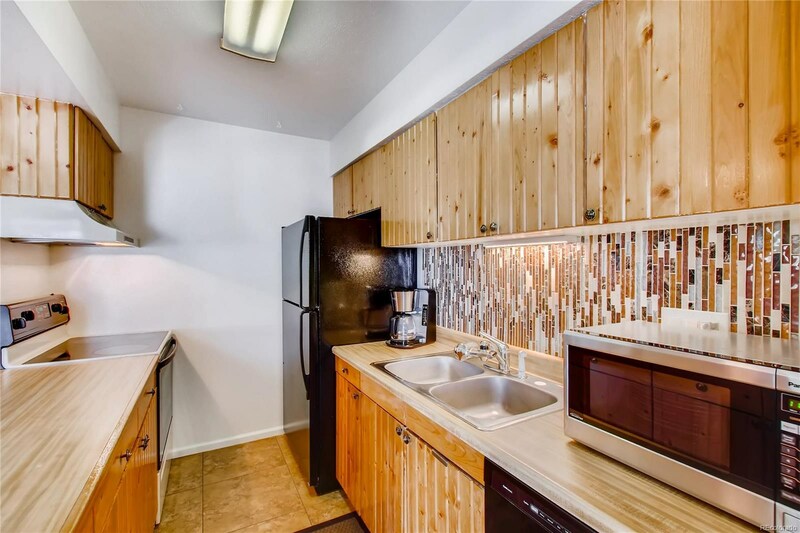 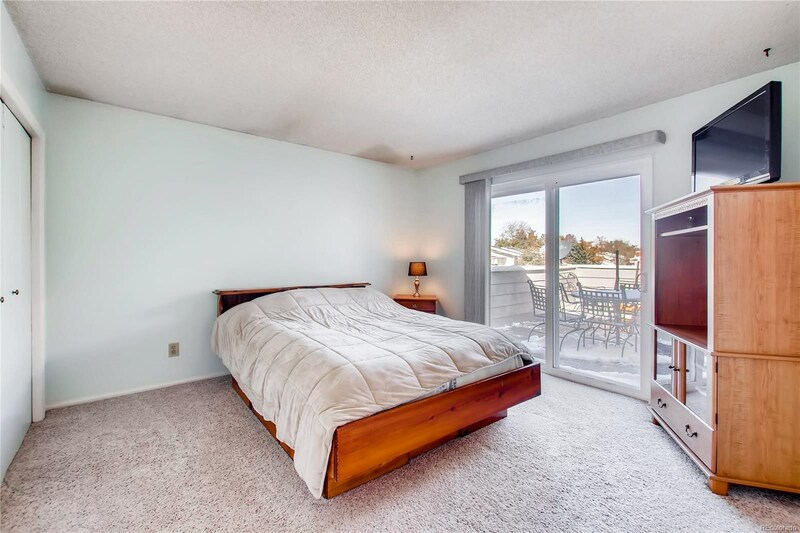 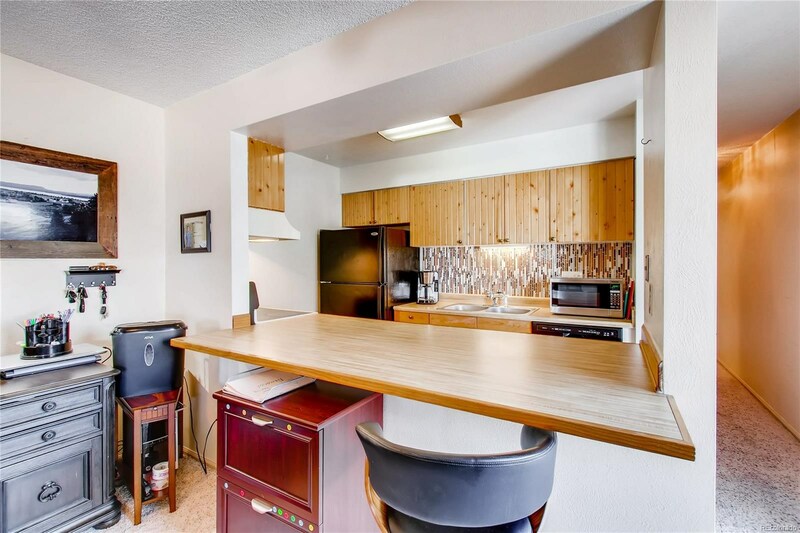 You will fall in love with this adorable, 2bed/1bath townhome in the heart of Timber Cove, Arvada! 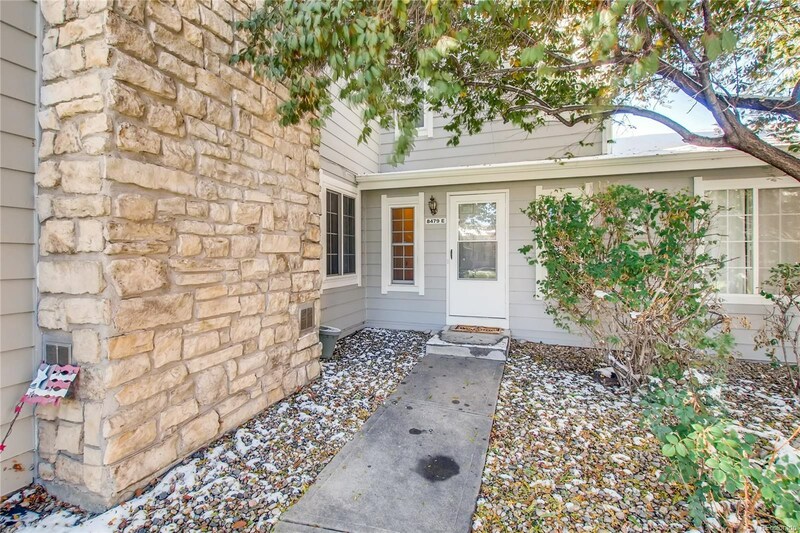 The quiet, manicured open space, stone fireplaces, and adorable architecture of this community are something out of a story book. 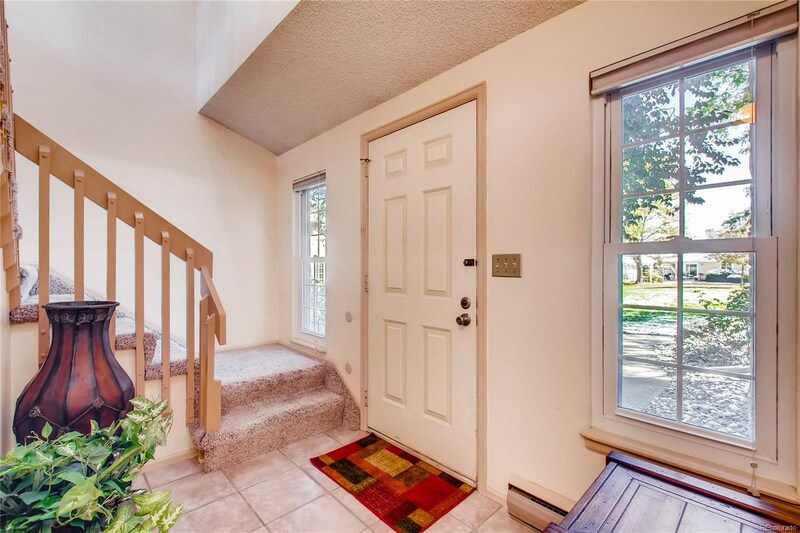 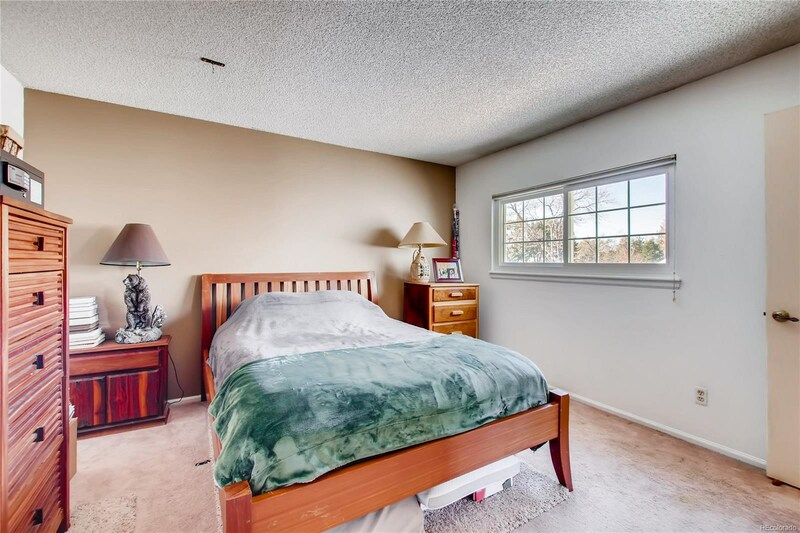 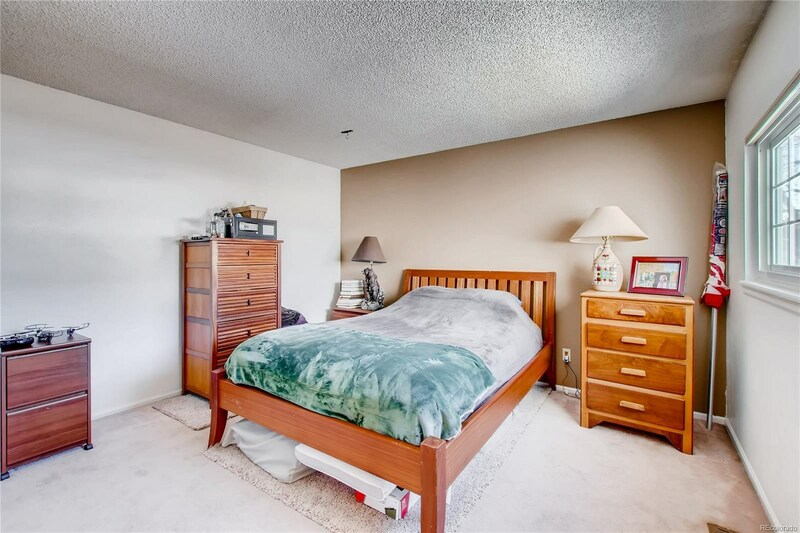 Inside, you’re welcomed into this home’s entry way with coat closet and access to the attached garage. 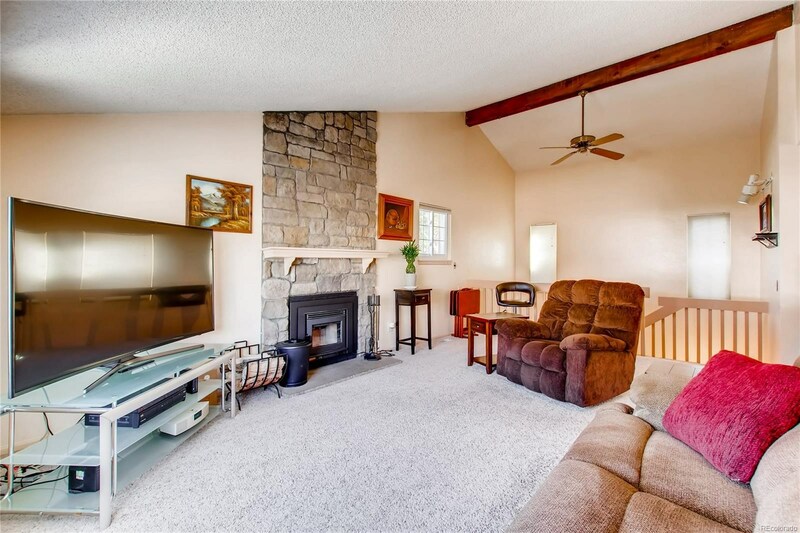 The entry way then leads upstairs to the living room- filled with natural light that highlights vaulted ceilings, exposed beam, and stone covered fireplace with $ saving,high efficiency insert. 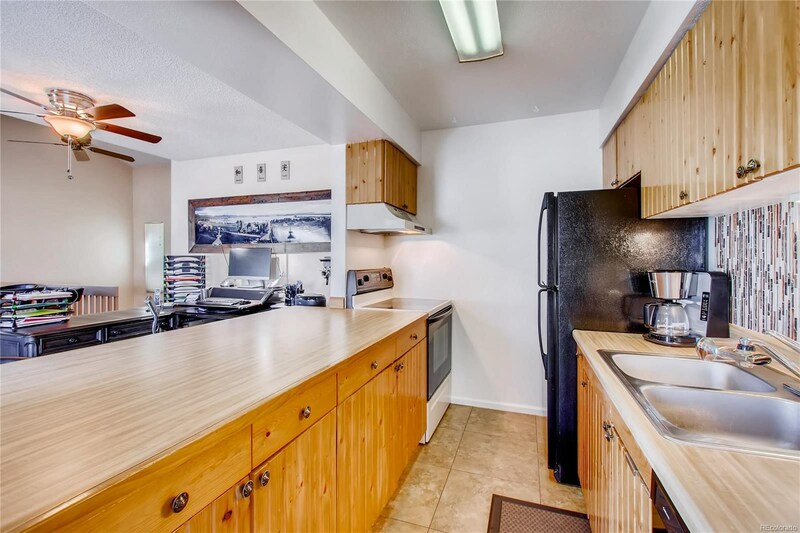 The kitchen with beautiful beadboard style cabinetry, accent backsplash, and large eat-in kitchen peninsula flows effortlessly to the deck, dining room, and living room. 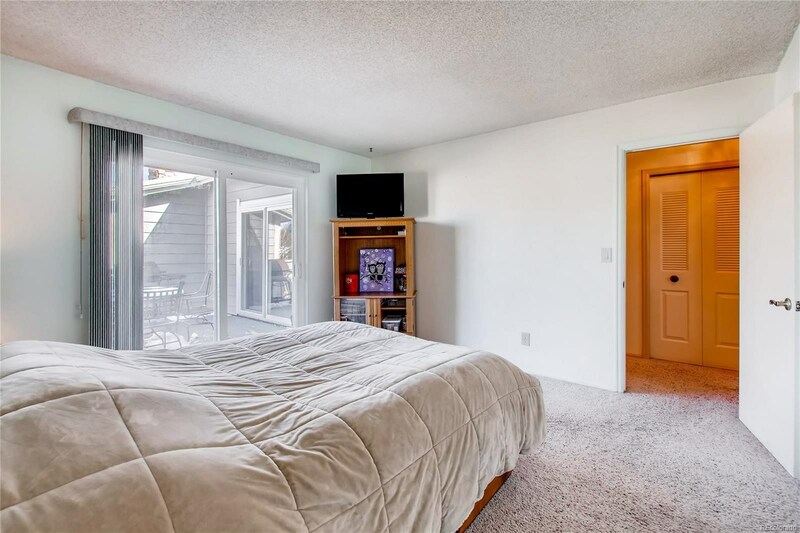 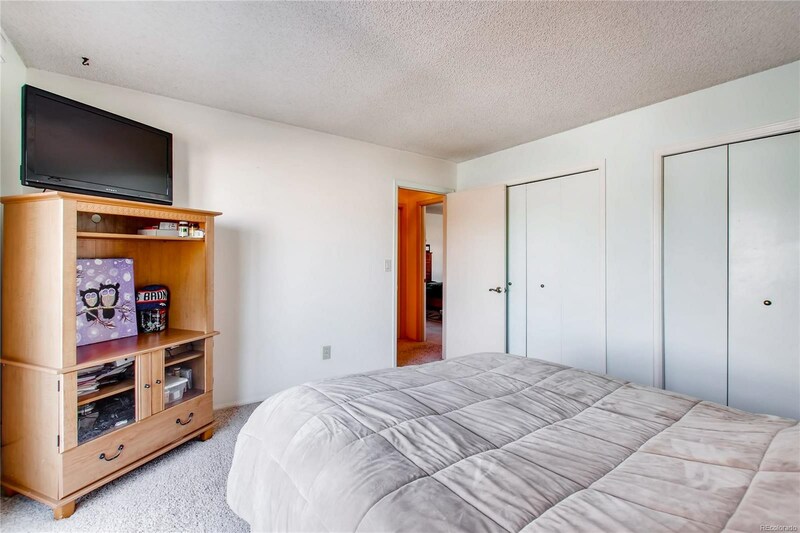 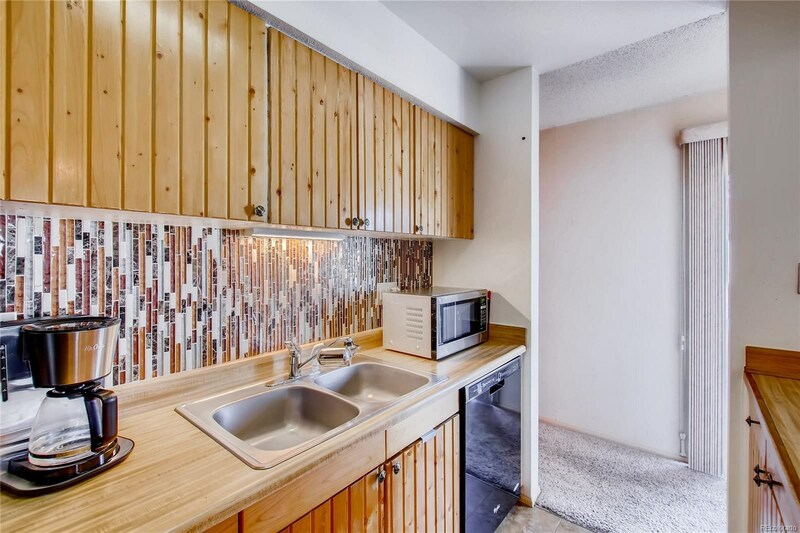 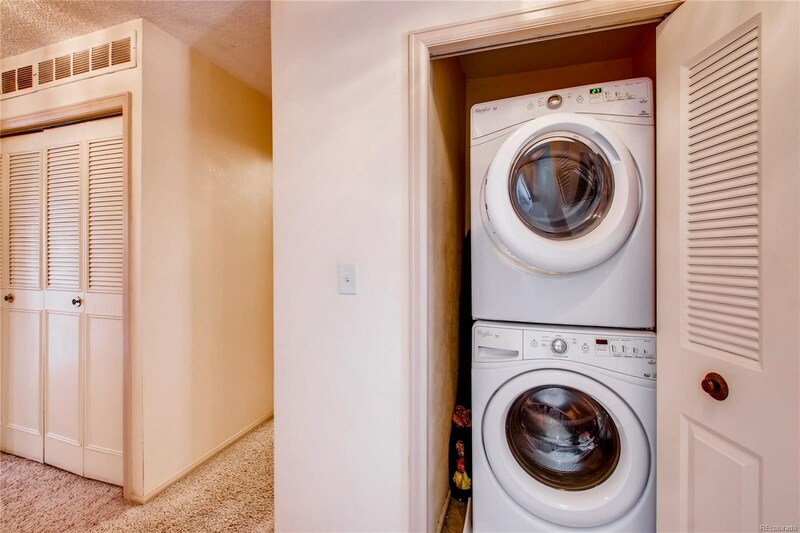 Further down the hall you will find the bedrooms, bathroom, and laundry closet. 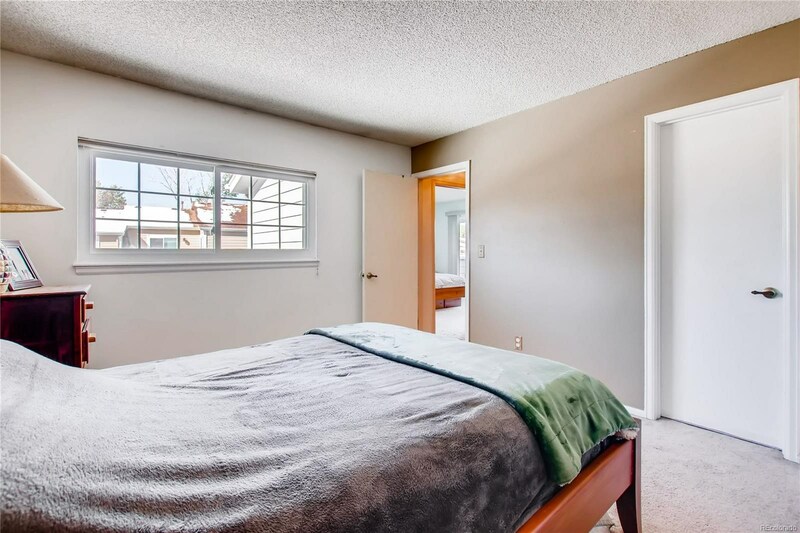 Brand new, stringless window covering just installed throughout! 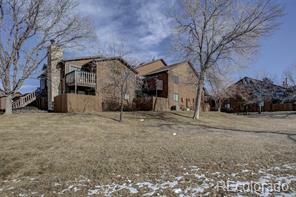 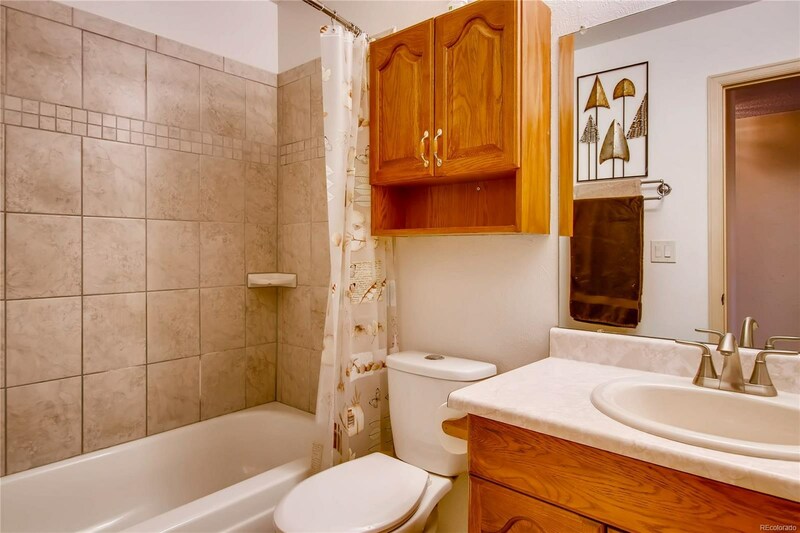 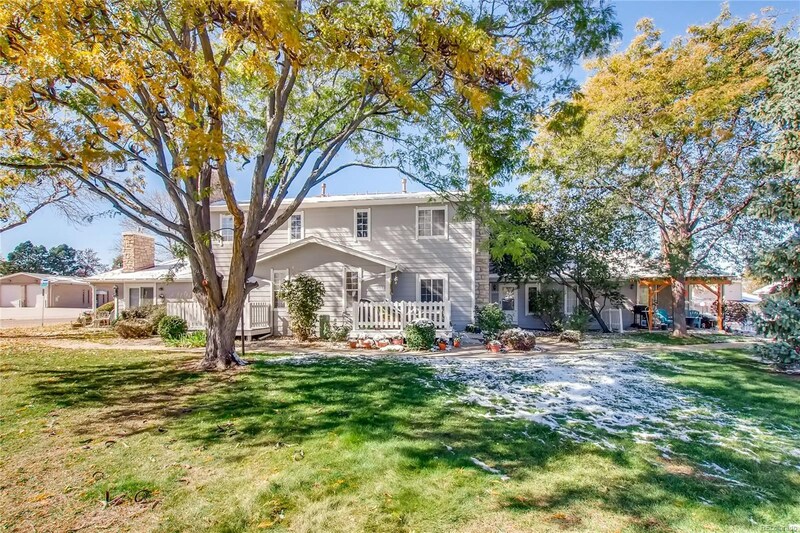 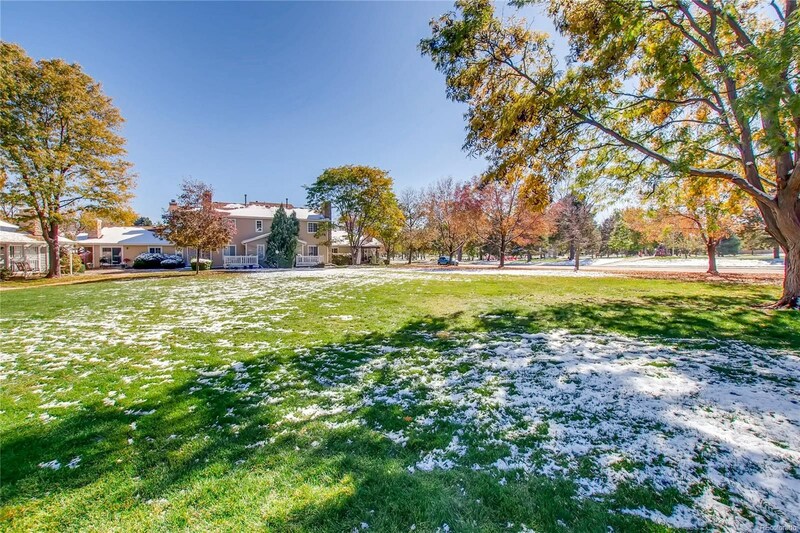 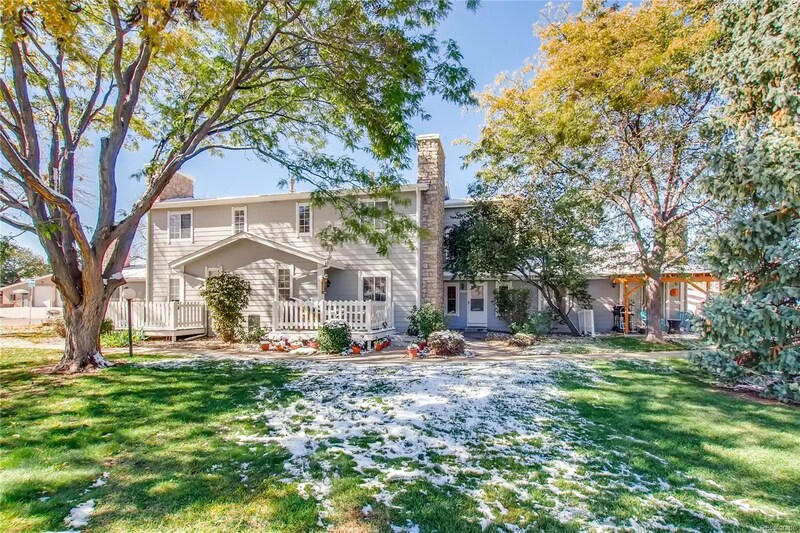 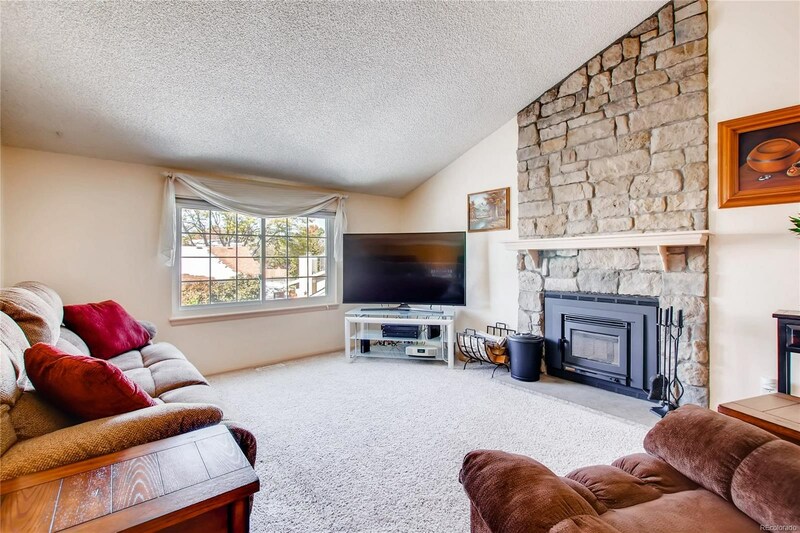 You will also love the easy access to Pond Lake, Standley Lake, Wadsworth, Kipling, tons of parks, and shopping. 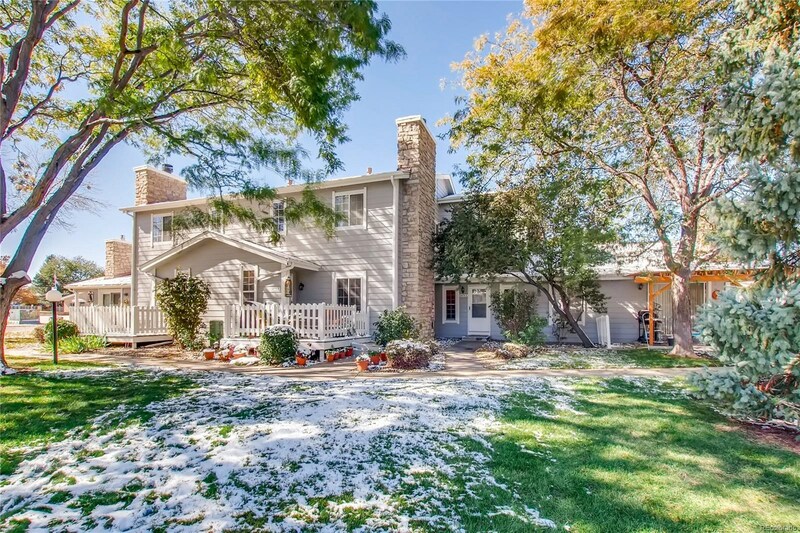 Call today for a private showing before this beauty is gone!